The tetrapylon, a gateway to the Temple of Aphrodite, 85% of the blocks are original. A close-up of the tetrapylon. 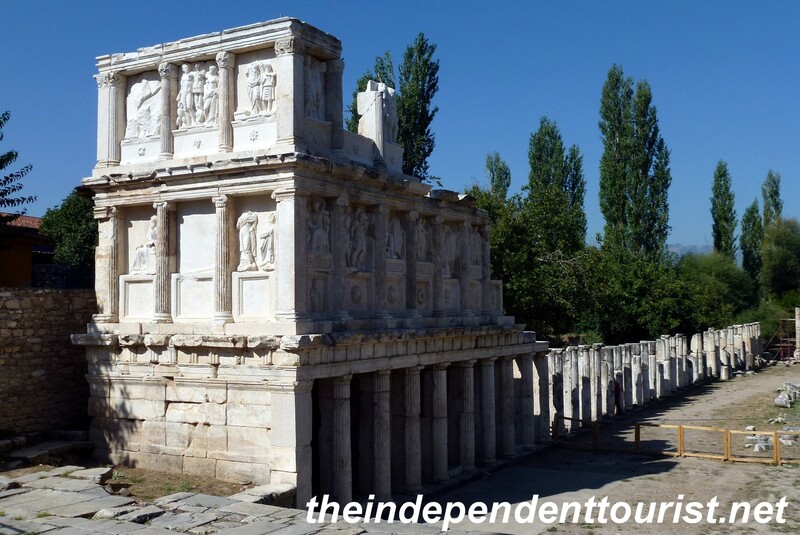 The ancient site of Aphrodisias isn’t really hidden, and even though it’s only about 90 minutes (100 km) by car from Pamukkale and Hierapolis (see my post here) it gets far fewer tourists. 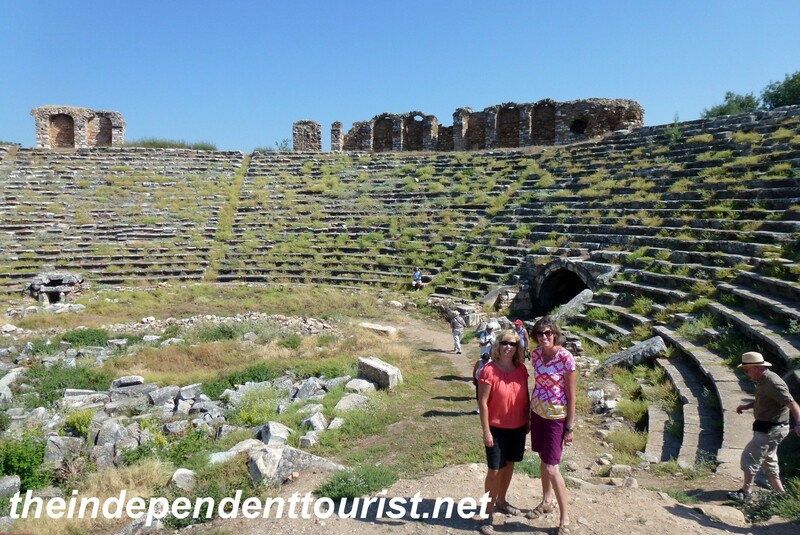 There were a few small buses that arrived after us, but nothing like the full parking lot of huge buses at Hierapolis. 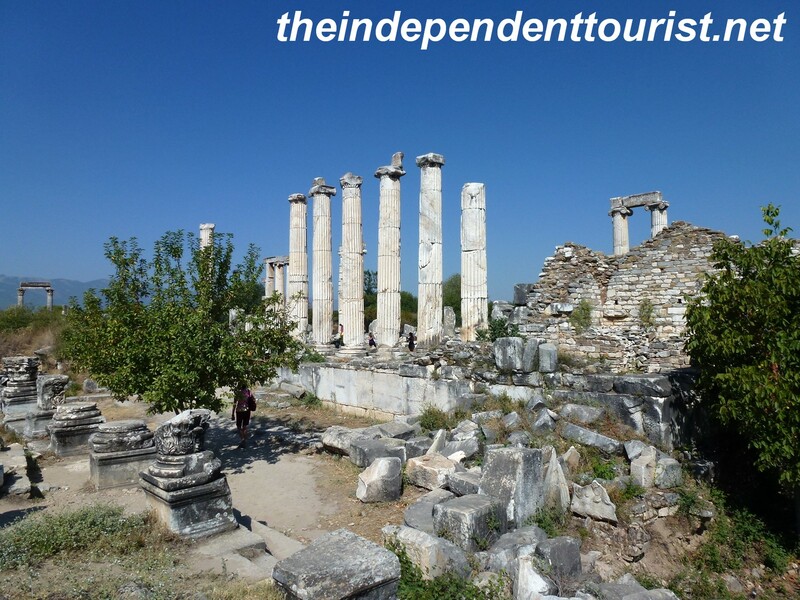 For a map of the major sites we visited in Turkey click here. 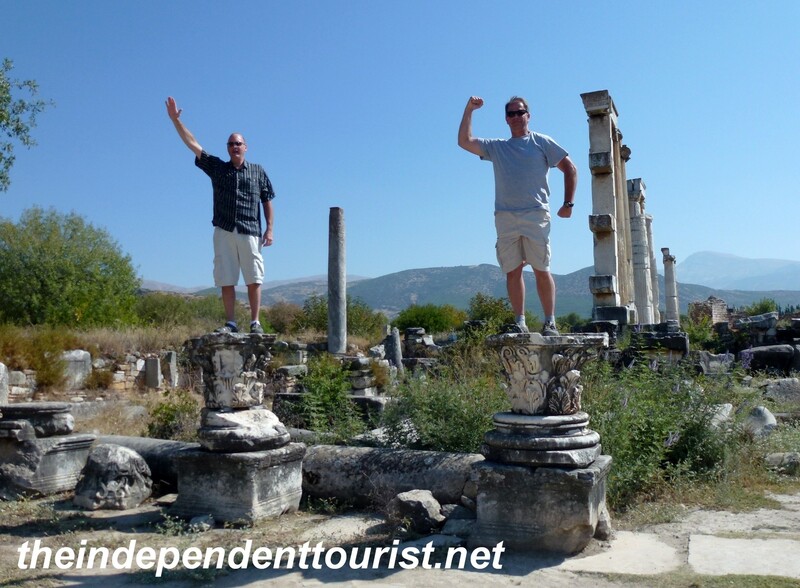 Paul and Brad at the Temple of Aphrodite doing their best Roman Emperor imitation. 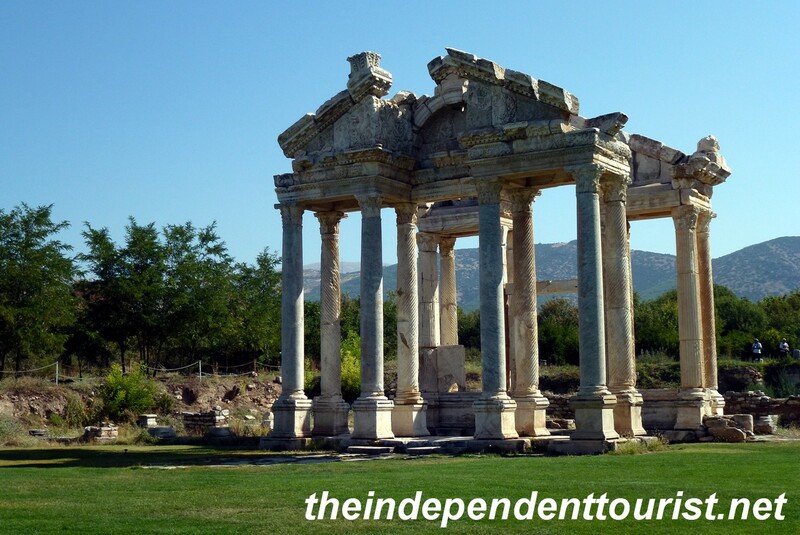 The site started as a shrine and was named after the Greek goddess of love (Aphrodite) in the 2nd century BC. 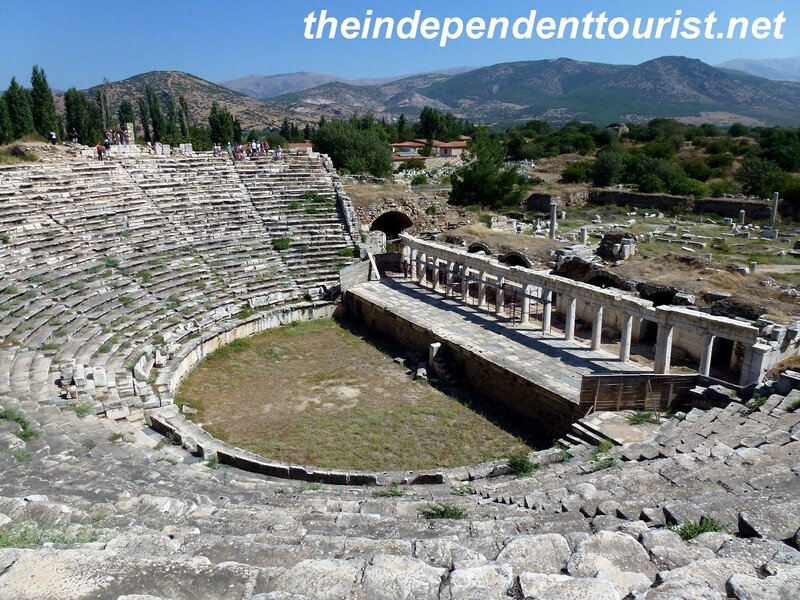 The city had a population of 15,000 at its peak in the 3rd century AD. In Byzantine times the Temple of Aphrodite was turned into a Christian Church. The town was abandoned in the 12th century. A view of the Temple of Aphrodite, converted into a Christian church in 500 AD by the Byzantines. A view of the easern end of the stadium, this end was used for gladiatorial contests. The stadium could hold 30,000 people. The Sebasteion, a temple to the deified Roman Emperors. Seventy of the original 190 reliefs have been recovered. The Bouleuterion (or Council House). Preserved almost perfectly intact due to a mudslide. 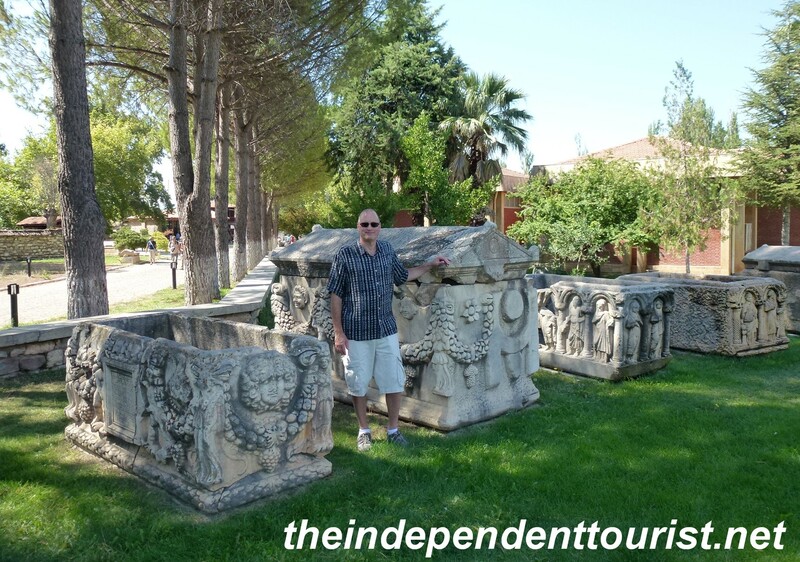 Some of the many elaborate sarcophagi around Aphrodisias. There are a number of well-preserved ruins here. 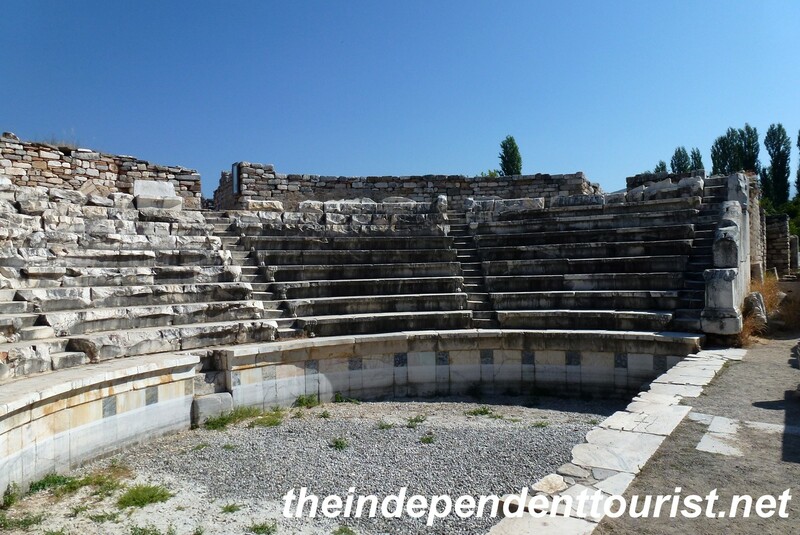 The site requires a fair amount of walking, and the ruins are pretty well marked in English and Turkish, but allow enough time to wander – we found the huge stadium just by wandering a bit. To get to the site, park on the eastern side of the main road and a tractor/train takes you to the entrance across the road on the western side. In 2012, the entrance fee was 10 TL per person (1.8 TL to 1 USD) and parking and the train was an additional 7 TL. (References: Lonely Planet, Turkey 2010; DK Eyewitness Travel, Turkey 2008). The theater, it held 7,000, and the seats were individually labled. 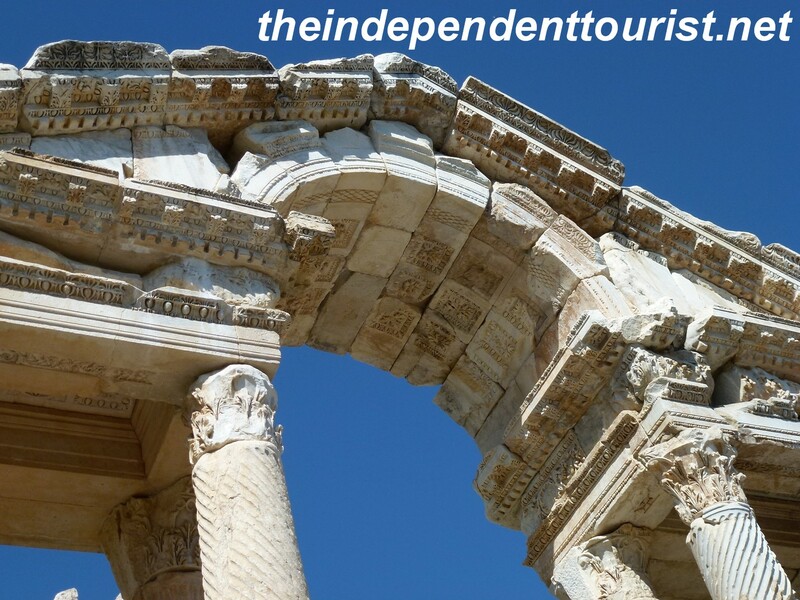 Posted in Turkey and tagged Aphrodisias Turkey, Roman Ruins in Turkey, Turkey Travel on May 11, 2013 by Paul Terry.